Ultra Series RRUNN™ Caffeinated Electrolyte Salt Caps are electrolyte capsules with a unique formulation that deliver the full-spectrum of vital electrolytes (sodium, chloride, potassium and magnesium), vitamin D3 to sustain optimal bone health and immune function, and caffeine for enhanced alertness during intense endurance activities like ultramarathons, brevets, and triathlons. Available in a bottle of 30 capsules. Electrolyte losses through sweat and urine, and mental fatigue are inevitable during endurance activities lasting more than 3 hours, especially in Indian weather conditions. For such intense endeavours, like marathons, triathlons and ultras, ordinary sports drinks and water cannot compensate for the extensive electrolyte losses that your system will undergo. As part of your fueling strategy, RRUNN™ Caffeinated Electrolyte Salt Caps effectively replace these losses in a proportional and balanced manner, without shocking your system with an excessive or imbalanced portfolio of electrolytes. They will also aid mental alertness and focus. RRUNN™ Caffeinated Electrolyte Salt Caps complement your hydration source (water/ sports drink) perfectly in keeping hydration imbalances and mental fatigue at bay. With the RRUNN™ Caffeinated Electrolyte Salt Caps, you get a timely replenishment of electrolytes and caffeine boost. 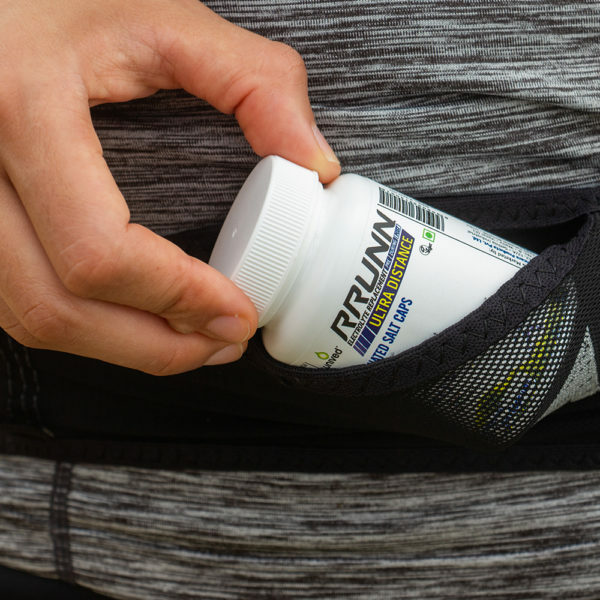 With sodium, potassium and magnesium, RRUNN™ Caffeinated Electrolyte Salt Caps put your body on the right foot to fight dehydration, hyponatremia, muscle fatigue, cramps and weakness. RRUNN™ Caffeinated Electrolyte Salt Caps are India’s only electrolyte capsules to offer chloride, caffeine and vitamin D3 along with all the essential electrolytes to ultra-athletes in one formulation. As a key electrolyte, chloride complements sodium to maintain adequate fluid uptake and body-water balance. Vitamin D3 minimizes the risk of injuries by optimizing bone health, and protects the immune system from becoming vulnerable post-exercise. Caffeine provides the necessary ergogenic boost to keep your mind clear and alert. RRUNN™ Caffeinated Electrolyte Salt Caps ensure that your system is instantaneously compensated for the loss of vital electrolytes, without experiencing spikes and drops in performance levels due to issues like muscle cramping, dehydration, stomach distress, and fatigue. 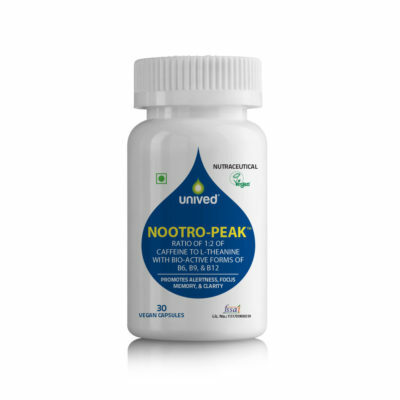 They also shield your body against lasting physiological upheavals caused, by delivering adequate levels of nutrients that support a complete system recovery, while giving a boost of energy. Most athletes in India fall under the moderate-heavy category. Pre-training: No specific supplementation is necessary unless you are a heavy sweater. You should maintain adequate hydration on days leading up to your long-training run. If you are training under extremely hot and humid conditions or in general are a heavy sweater, take 1 capsule the night before and take 1 capsule with your pre-run snack. If going on a long run you may also want to consume a pre-run drink before heading out, read more about RRUNN™ Pre. During training: If your run is less than 2 hours and conditions are favourable, you may not require salt cap supplementation. However, if you are running or cycling longer than about 90 minutes, or shorter but in hot and/or humid conditions, or if you tend to sweat moderate-heavy, you can follow the usage guide above depending on your sweat rate. Remember to also drink about 125ml of hydration mix every 30 minutes so you get your carbohydrates, amino-acids, and water – keeping you hydrated and energized. 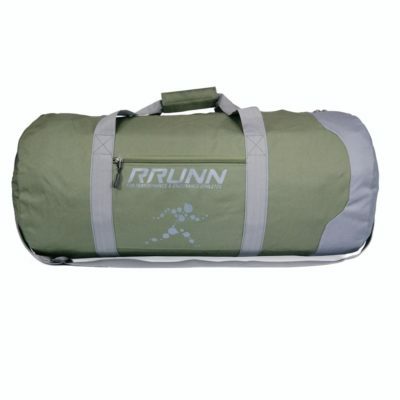 Read more about our RRUNN™ During product. Post-training: Your post workout recovery process is always aided with proper electrolyte supplementation. 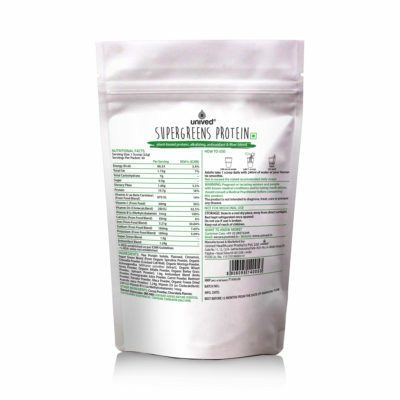 Keep a simple strategy and ensure you consume 1-2 capsules post-workout along with a 4:1 carbohydrate to protein recovery drink, read more about RRUNN™ Post. Pre-race: Follow the general ‘pre-training’ guidelines above. For races in extreme conditions, or if you know for sure you will be running for between 2-5 hours, or more, then take 1-2 capsules the night before. Ensure you consume a pre-run drink before your race, learn more at RRUNN™ Pre. During-race: Again, judge your sweat rate, the weather conditions, and the estimated duration of your run. To avoid cramps, nausea, and other issues, consume 1-2 capsules every hour of your activity. Remember to hydrate well and chose a good hydration & energy drink, read more at RRUNN™ During. Post-race: Read more about complete scientific recovery at RRUNN™ Post. Also remember to monitor your urine colour for the next 48-72 hours, if it is a dark yellow then take 1-2 RRUNN™ Electrolyte Salt Caps a day until you reach a clear or straw yellow shade. Consume just enough water needed to swallow the capsules (approximately 50 ml). The rest of your hydration should come from your sports drink, in accordance with your fueling plan. As a general guideline for your electrolyte plan and fueling strategy, we recommend that you determine what your sweat rate is during normal weather conditions. You should also test out your electrolyte plan during training, so you can adapt it to your sweat rate and physiology, and give your system time to acclimate to your overall fueling strategy. Needless to say, every athlete sweats differently, and reacts uniquely to heat and humidity. You should tailor your intake of RRUNN™ Caffeinated Electrolyte Salt Caps according to your sweat rate and the temperature conditions during your activity. Again, we recommend that you consume the capsules when training in similar conditions, to get the best out of the RRUNN™ Caffeinated Electrolyte Salt Caps. Please note that the RRUNN™ Caffeinated Electrolyte Salt Caps are not intended to be consumed as your primary source of race fueling or hydration. While the RRUNN™ Caffeinated Electrolyte Salt Capsare excellent for electrolyte, caffeine boost and vitamin D3 replenishment – you still need an adequate intake of water and fueling nutrients like carbohydrates during your activity. RRUNN™ Caffeinated Electrolyte Salt Capsshould be a part of an overall fueling strategy, along with water and a suitable sports drink or gel. You can read here about the RRUNN™ System, our world-class pre-during-post sports drinks, to find out how you can create your personalized fueling plan to elevate your performances. The RRUNN™ Caffeinated Electrolyte Salt Caps strictly adhere to the WADA (World Anti-Doping Agency) guidelines, and do not contain any banned substances. However, please note that WADA does not offer any certification, or confirmation (written or otherwise) of the same. Competing in ultra distance races can be very taxing on the mind, and demands lots of mental strength. Research has established that there is a link to increased alertness and concentration when consuming caffeine. Caffeine is a natural ergogenic athletic performance booster . Consuming caffeine during endurance sports like running and cycling  increases performance by increasing blood flow to the heart and muscles, while also enhancing mental focus. Endurance athletes undergoing exhaustive exercise that requires sustained focus, research has shown that caffeine can act to enhance alertness and vigilance. Due to caffeine’s lipid solubility it crosses the blood-brain barrier without difficulty making the central nervous system (CNS) as one of the primary sites of action [3,4]. 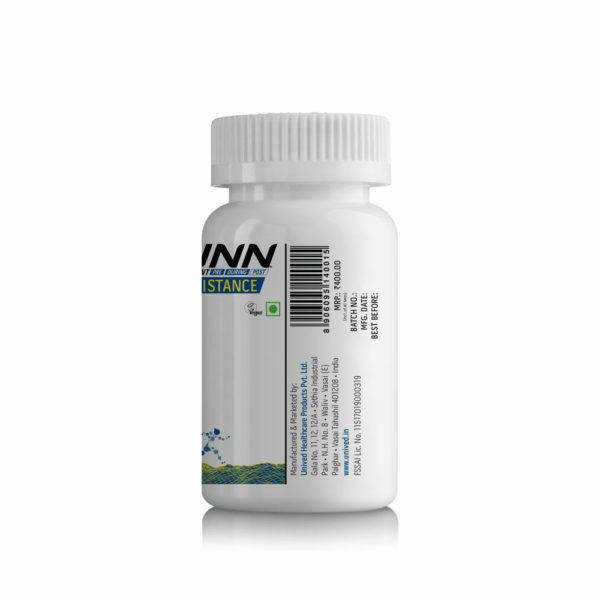 Its antagonist action on adenosine during extended exhaustive exercise has demonstrated its effect on increasing alertness and cognitive function, while decreasing fatigue. Caffeine is an effective ergonomic aid for individuals undergoing endurance activities and extended periods of sleep deprivation benefiting athletes both physically and cognitively . RRUNN™ Caffeinated Electrolyte Caps offer 30mg of anhydrous caffeine per serving. Each serving of RRUNN™ Caffeinated Electrolyte Salt Caps offers 213mg of sodium, the major electrolyte that is found in the extracellular fluid (the fluid outside of your cells). This electrolyte is essential to the transport of nutrients that are necessary for energy production in the cells. Sodium also plays a part in facilitating muscle contraction and the transmission of nerve impulses to the muscle, making it one of the most essential electrolytes from a sports performance perspective. During intense exercise, your body loses fluids and sodium through sweat, which leads to a decrease in blood volume. This decrease in fluids and blood volume causes an increase in the proportion of sodium in the overall concentration of your fluids. This increase in sodium concentration triggers the thirst response when you are engaged in an endurance activity. By the time the thirst response is activated, your electrolytes are already out of balance and you are in danger of getting dehydrated. At this juncture, drinking plain water counters the thirst response, increases your blood volume, and only replenishes fluids – NOT electrolytes. The increase in blood volume combined with the loss of sodium through sweat causes the dilution of sodium levels in your blood. The bottom line is, even though you don’t feel thirsty anymore, your electrolyte-fluid concentration is still imbalanced. This dilution of sodium will get worse with time, as you lose more electrolytes to sweat. This can result in fatigue due to the decrease in energy production, and the loss of crucial muscle function. RRUNN™ Caffeinated Electrolyte Salt Caps closely mimic the profile of sodium in your sweat, and to replace losses in a proportional manner. This ensures a commensurate increase in your sodium levels when you rehydrate, thereby keeping your fluid-electrolyte balance favorable for proper muscle and nerve function. Each capsule of RRUNN™ Caffeinated Electrolyte Salt Caps, replenishes you with 63mg of potassium. Potassium is an intracellular electrolyte (found inside the cells), and is stored in the muscles along with glycogen. It is also an important mediator of nerve impulses to the muscles. To power your endurance activity, your muscle glycogen is broken to release energy. 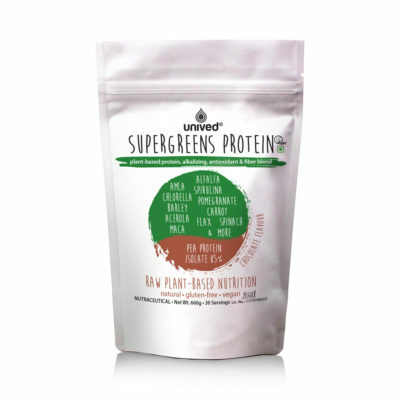 As a result, you are rapidly losing the potassium present in your cells throughout the duration of your activity. Over the course of an activity that is longer than 2 hours, you continue to lose potassium from your cells – this means that there is a higher concentration of the electrolyte outside the cell than inside the cell. This imbalance can interrupt the transmission of nerve impulses that control muscle cells, thereby hampering the smooth and powerful muscle movements during exercise. Unless the levels of potassium inside the cells are restored, muscle action will continue to decelerate. Potassium depletion can also manifest in symptoms like nausea, slower reflexes, irregular heartbeat, drowsiness, muscle fatigue, and weakness. It is evident that potassium losses can have devastating results on performance, which makes it imperative that losses through sweat and urine are instantly replaced. The electrolyte profile of RRUNN™ Caffeinated Electrolyte Salt Caps helps to correct the potassium concentration necessary for advanced muscle performance. The correction in the levels of potassium effectively ‘resets’ the transport of nerve impulses to muscles, which translates into stronger strides and better performance. 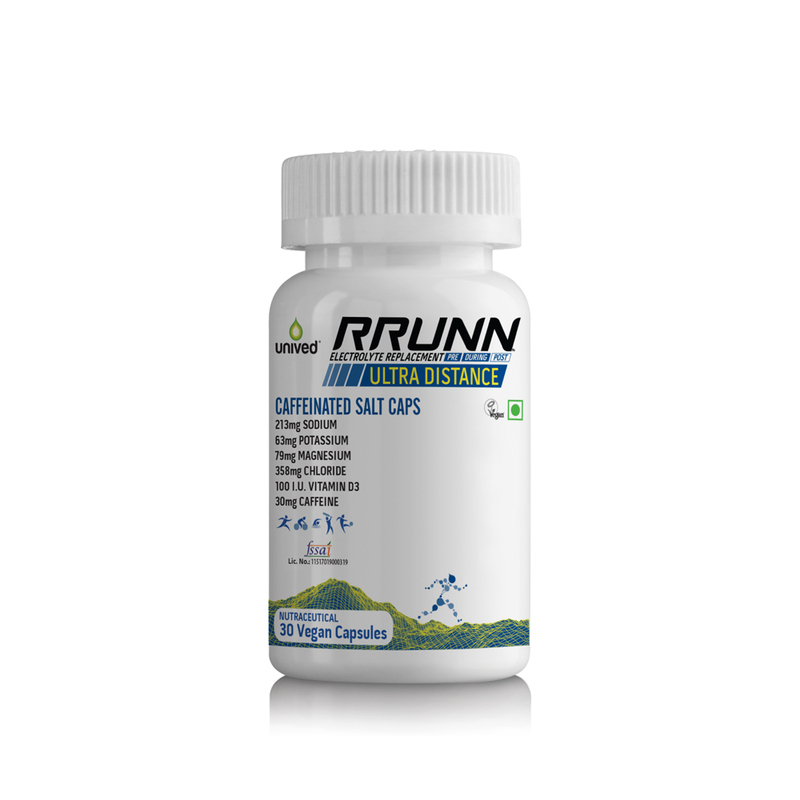 RRUNN™ Caffeinated Electrolyte Salt Caps are the only electrolyte capsules in India to offer chloride supplementation for endurance athletes, with 358mg of chloride per capsule. Like sodium, chloride is an extracellular electrolyte found in the fluid environment outside cells. Chloride works in conjunction with sodium, to regulate body-water balance, and to ferry electrical impulses to muscles during your activity. Complementary levels of chloride and sodium are essential to maintain beneficial hydration levels. If sodium losses are replaced without a corresponding rise in chloride levels, electrolyte levels can go haywire and have a domino effect on your overall hydration status. RRUNN™ Caffeinated Electrolyte Salt Capsensure that a favorable balance is maintained between the levels of sodium and chloride – thus maintaining the critical hydration processes in the body, and uncompromised muscle function during critical stages of your activity. RRUNN™ Caffeinated Electrolyte Salt Caps provide your body with 79mg of magnesium, an indispensable part of any modern athlete’s fueling arsenal. This electrolyte is the veritable powerhouse of your cells, with the largest concentrations of magnesium being found in the bones and muscles. What makes magnesium important from a sports performance perspective is its central role in energy production. Magnesium is a key component of over 300 enzymes involved in muscle contraption and energy generation. Magnesium also impacts the effective usage of sodium, potassium, and calcium by the muscles. Thus, the depletion of magnesium can have an adverse effect on the body’s overall utilization of precious resources during endurance activities. If magnesium levels are not replaced, you can experience muscle cramps, muscle weakness, and fatigue. Further, magnesium is not produced naturally in the body, and is only obtained through sources like green leafy vegetables or specially fortified cereal. From a practical perspective, you cannot consume these sources in the middle of an activity, and neither are these sources the most bio-available form of magnesium. 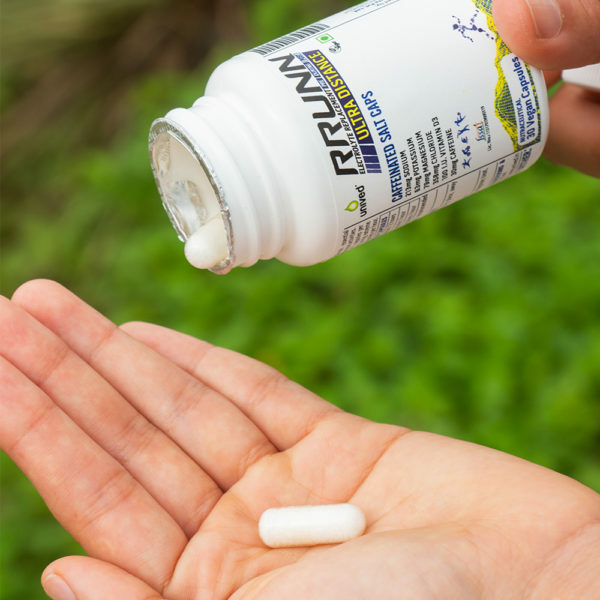 The magnesium supplied by RRUNN™ Caffeinated Electrolyte Salt Caps is highly-bioavailable, which means that it is rapidly assimilated into your body, and instantly directed towards crucial muscle function and energy generation during your activity. RRUNN™ Caffeinated Electrolyte Salt Caps refresh your tired muscles, and help you sustain your pace and race mileage for the remainder of your activity, even when you have been going for hours. We wanted to give you a formulation that goes the extra mile – just like you. In addition to the crucial electrolytes that you need to sustain your performance, RRUNN™ Caffeinated Electrolyte Salt Capsalso comes enhanced with vitamin D3, a nutrients to take you over the threshold of your limits, towards great performances – a first in India. Niggling injuries and chronic bone deficiencies are worryingly common among endurance athletes logging in high mileages – the key to eliminating these issues could be vitamin D3, an often overlooked nutrient in sports nutrition. 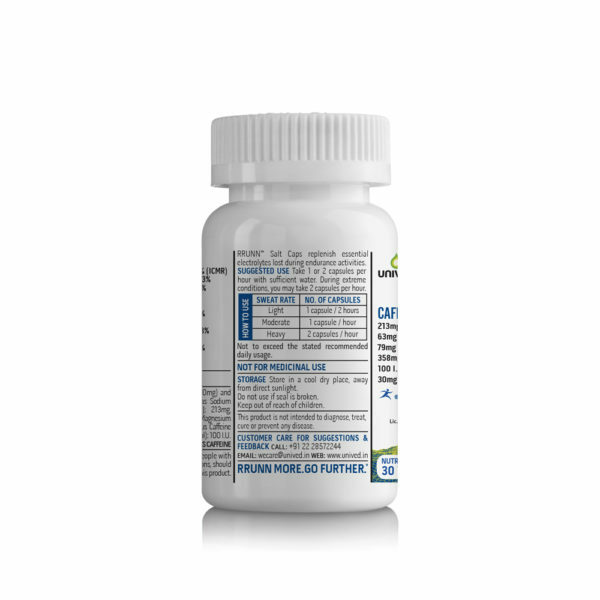 Vitamin D3 is a fat-soluble vitamin associated with several important functions of the skeletomuscular, immune, heart, brain and dental systems. Vitamin D3 is naturally synthesized by the skin under sunlight, however, nearly 80% of Indians have been found to be vitamin D3 deficient due to insufficient timely exposure to sunlight. Athletes, particularly endurance athletes, have greater vitamin D3 needs than the general population. Athletes undergoing a training regimen involving high mileage can be at the risk of compromised bone health and higher risk of injury. Scientific studies have established that vitamin D3 is a major factor in optimizing bone health in athletes, and preventing injuries by minimizing stress factors. Vitamin D3 has also been found to be effective in regulating the electrolyte metabolism, and contributes towards attaining euhydration – a state where the body is in an optimal state of hydration during exercise. Vitamin D3 is also an important factor in promoting protein synthesis after exercise, which assists in faster muscle recovery and rebuilding. Intense endurance exercise can put your body through its paces – including your immune system – and leave you vulnerable to opportunistic bugs and infections which can derail your training schedule. Vitamin D3 boosts immune function, which further aids in recovery after exercise. Aside from regular supplementation to maintain normal vitamin D3 levels, endurance athletes can benefit from supplementation during races and training sessions. 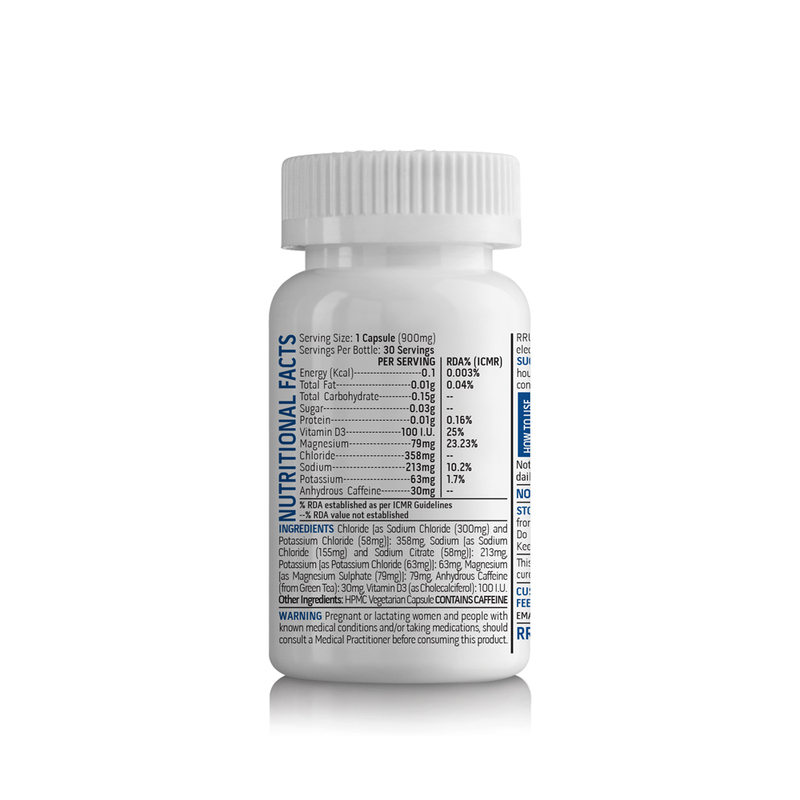 This is essential to meet their elevated vitamin D3 needs, and to compensate for the additional stress borne by the skeletomuscular system during intense activities. When looked at in conjunction with the deficiency data of the general population, it is evident athletes in India could be particularly vulnerable to exercise-related injuries and bone deficiency arising from the lack of vitamin D3. We wanted to address this specific problem with the unique formulation of the RRUNN™ Caffeinated Electrolyte Salt Caps. Each serving of RRUNN™ Caffeinated Electrolyte Salt Caps contains 100 I.U. of highly bio-available vitamin D3. The vitamin D3 in RRUNN™ Caffeinated Electrolyte Salt Caps is derived from lichens, the only organic, plant-based and vegan approved source of vitamin D3 available, for enhanced bio-availability. The vitamin D3 in RRUNN™ Caffeinated Electrolyte Salt Caps reinforces your immune system, and prevents you from getting into an immune-compromised state after a grueling endurance activity. With the RRUNN™ Caffeinated Electrolyte Salt Caps, you stay in fighting fit shape to recover faster, steer clear of injuries, and get back into the next training cycle feeling as ready as ever. Electrolytes are an indispensable part of the fueling mechanism of your body, especially during high endurance activities. Electrolytes mediate the transport of nutrients, enzymes, and fluids in and out of our cells. Common performance issues during endurance activities like muscle cramping, stomach distress, hydration imbalances and weakness are often linked to rapid electrolyte loss due to sweating and weather conditions. Undoubtedly, electrolytes are the bedrock of performance, especially during physical activities exceeding 3 hours. Your body’s hydration status and electrolyte balance are closely linked, as the transport of electrolytes in and out of cells is carried out in a fluid medium. This means that if you are dehydrated or over-hydrated, it has an effect on the electrolyte balance of your body, which in turn has a cascading effect on your performance. The key takeaway here is that hydration isn’t merely about the intake of fluids. Only water cannot replace electrolyte losses. If only fluid is replaced, without replacing electrolytes as well, this will result in a fluid-electrolyte imbalance. Such an imbalance will result in cramping, digestive distress, and improper fluid uptake by the body. This means that despite adding lots of fluid to your gut, your body might not be able to absorb nutrients from it properly without the addition of necessary electrolytes – the physiological equivalent of carrying dead weight. 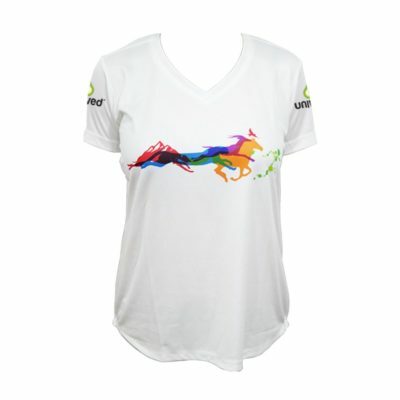 Endurance performance is greatly compromised in warmer temperatures and higher humidity levels. A rise in body temperature is detrimental to cells, enzymes, and other key physiological components. Your body naturally reacts to warmer external temperatures by initiating physiological responses that can lower its core temperature. 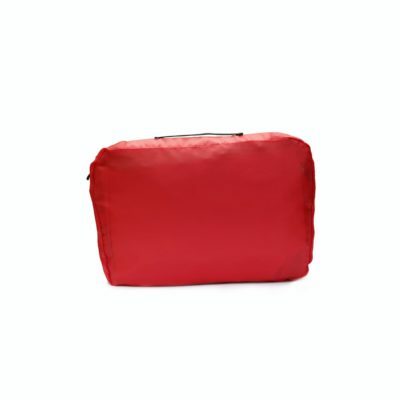 In order to dissipate heat from the body to the environment, the blood flow to your skin is increased. As blood is redirected to the skin from various parts of the body, there is a ‘shunting’ effect i.e. the amount of blood reaching your muscle and organs is decreased. This results in lower levels of oxygen being delivered to your muscles and organs, which instantly begins to negatively impact your performance. A greater supply of blood to your skin results in more sweating, which helps to bring down your core temperature. However, since electrolytes are transported through the body’s fluid, a large proportion of your electrolytes are also expelled along with sweat. In fact, electrolytes are among the first casualties lost to sweat. The amount and proportion in which various electrolytes are lost depends on your ‘sweat rate’, which is the amount of sweat you lose during an endurance activity. Sweat rates vary wildly on an individual basis, depending on the athlete’s physiology, and the temperature and humidity levels. Testing your sweat rate during normal temperature conditions (i.e. the conditions which you normally train in) will allow you to determine your normal sweat rate. Knowing your sweat rate is important towards understanding how your body responds to heat & humidity, and the rate at which you will dehydrate and lose electrolytes. This will help you test out an electrolyte plan and fueling strategy during training itself, to give the body the chance to acclimate to it before an important event. 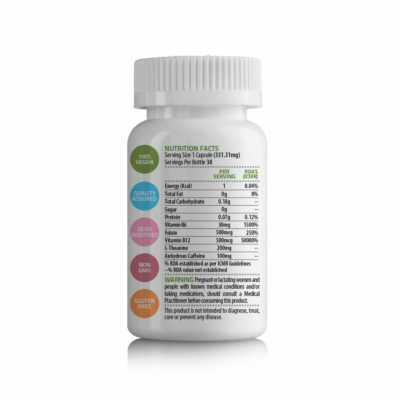 How much caffeine is in each RRUNN™ Caffeinated Electrolyte Salt Caps? Each RRUNN™ Caffeinated Electrolyte Salt Caps contains 30mg of anhydrous caffeine. My sports drink has electrolytes. Why do I need to take an electrolyte capsule? It’s great to know that you are making efforts towards staying adequately hydrated during your endurance activity. However, you should know that the average sports drink or drinks like lemonade only provide adequate electrolytes for activities of short duration. For longer and more intense endurance workouts, the average sports drink cannot compensate for substantial electrolyte losses, especially in the Indian weather conditions. If these losses are not countered fast, you can experience debilitating symptoms like muscle cramps, fatigue, dehydration and stomach distress. Electrolyte capsules like RRUNN™ Caffeinated Electrolyte Salt Caps are formulated specifically to deliver essential electrolytes to you in a form that your body can easily absorb, and in proportions that will meet your electrolytes losses, without overloading your system with excessive electrolytes and fluid. They also provide a caffeine boost for mental focus and alertness. Further, your gut has a limited capacity for water. Constant intake of large quantities of sports drinks over the course of several hours may cause excessive fluid retention – over and above what your system can effectively process and use. This can result in an uncomfortable ‘sloshing’ effect in your stomach, which can be a source of nausea and stomach distress. Excessive fluid intake can also over-dilute your body’s remaining stores of electrolytes like sodium, which can cause hyponatremia – a condition which you want to avoid at all costs. However, we would like to reiterate that it is important to also consume plain water and a sports drink to maintain adequate hydration and fueling. This doesn’t just ensure that you get a constant supply of carbohydrates to fuel your activity, but also helps to maintain the optimal water-electrolyte concentration. We highly recommend training with a fueling plan comprising of RRUNN™ Caffeinated Electrolyte Salt Caps, water, and a sports drink to determine the right balance that works for you. An electrolyte plan should be a part of an overall fueling strategy. We recommend that you use the RRUNN™ Caffeinated Electrolyte Salt Caps in conjunction with our hydration and endurance sports drink, RRUNN™ During to ensure that your comprehensive hydration and endurance needs are met over the course of a long endurance activity. RRUNN™ Caffeinated Electrolyte Salt Caps seamlessly compensate for your electrolyte losses over the course of a grueling endurance activity. Drinking 125ml of RRUNN™ During every 30-40 minutes ensures that the increased concentration of electrolytes is matched by a proportional rise in fluid levels. With RRUNN™ During, your body is equipped to fight dehydration, and is refueled with simple carbohydrates and endurance-boosting amino acids that let you power through the remainder of your activity. 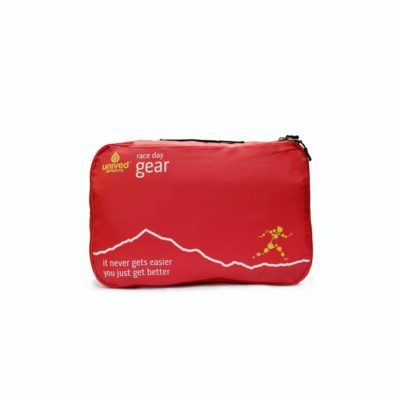 If you prefer to carry a gel with you for events of longer duration, you can pair the RRUNN™ Caffeinated Electrolyte Salt Caps with the RRUNN™ Endurance gel, gives you the cutting-edge fueling of the RRUNN™ During, with the convenience of a light, water-based gel. Why can’t I just add salt to my sports drink? As part of our diet, table salt (Sodium Chloride) is our primary source of sodium in our everyday lives. Endurance athletes have higher requirements of sodium, as it is the predominant electrolyte that is lost through sweat. However, you are also losing other essential electrolytes to sweat, namely – chloride, potassium, and magnesium – which you cannot replenish through sodium chloride alone. Unchecked losses of chloride, potassium and magnesium can have adverse effects on your performance such as nausea, muscle cramps, and fatigue. While some sports drinks do provide these electrolytes, the levels that they contain are not adequate to compensate for the losses during an intense endurance activity. The physiology of the vital electrolytes (sodium, chloride, potassium and magnesium) is interconnected. A spike in the levels of sodium alone, without a commensurate increase in other electrolytes is detrimental to your system and performance. Further, adding table salt to your sports drink might make it extremely salty – you certainly don’t want to give your hydration source an unpleasant taste! On the other hand, RRUNN™ Caffeinated Electrolyte Salt Caps offer balanced and proportional replenishment of all the major electrolytes, in concentrations that will not shock your system. RRUNN™ Caffeinated Electrolyte Salt Caps offers these electrolytes in a highly bioavailable form, which means they are instantly absorbed by your system, to help engage all its resources for optimal performance. If you prefer, you can always add RRUNN™ Caffeinated Electrolyte Salt Capsto your sports drink. This might make you drink slightly saltier than you are used to, but it will still remain palatable. What are RRUNN™ Caffeinated Electrolyte Salt Caps? RRUNN™ Caffeinated Electrolyte Salt Caps are electrolyte capsules formulated for intense endurance activities, to deliver essential electrolytes (sodium, chloride, potassium, magnesium) for hydration support, a caffeine boost, and bone-health vitamin D3 for injury prevention & immunity. RRUNN™ Caffeinated Electrolyte Salt Caps help the body recover effectively from extensive electrolyte losses, keep you alert, and maintain positive hydration levels. How can RRUNN™ Caffeinated Electrolyte Salt Caps benefit me as an endurance athlete? RRUNN™ Caffeinated Electrolyte Salt Caps were specially formulated to meet the physiological needs of endurance athletes who engage in endeavors like ultrarunning, brevets and triathlons that last more than 3 hours. Activities of such intensity result in significant electrolyte losses which can cause hydration imbalances, and dips in performance due to issues like muscle cramping and fatigue. During such activities, ordinary sports drinks and water cannot keep up with the body’s electrolyte losses. RRUNN™ Caffeinated Electrolyte Salt Caps restores electrolyte levels proportionally, to ensure that all the vital electrolytes are present in the body in synergistic quantities, while also providing a boost of caffeine to fight mental fatigue. The RRUNN™ Caffeinated Electrolyte Salt Caps offer you instantaneous hydration support, by supplying electrolytes in a highly-bio-available form, without overloading the body with excessive fluids. Regardless of whether you are running an ultra, or attempting a 200K cycling race – RRUNN™ Caffeinated Electrolyte Salt Caps help you stay on course, by constantly countering hydration imbalances, muscle cramps and mental fatigue. Which electrolytes are in the RRUNN™ Caffeinated Electrolyte Salt Caps? RRUNN™ Caffeinated Electrolyte Salt Caps have been scientifically engineered to replenish the body with the most essential electrolytes that directly impact athletic performance – sodium, chloride, potassium, and magnesium. These are also the electrolytes that are extensively lost to sweat and urine during intense endurance activities. RRUNN™ Electrolyte Salt Caps deliver a proportional and balanced spectrum of these essential electrolytes – to restore electrolyte reserves, maintain optimal body-fluid balance, and counter symptoms of hydration imbalances like diminished muscle performance, cramps and fatigue. How should I store the RRUNN™ Caffeinated Electrolyte Salt Caps? Ideally, RRUNN™ Caffeinated Electrolyte Salt Caps should be stored in a cool, dry place. 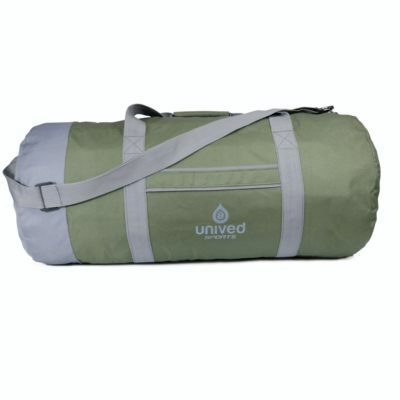 When you intend to use them for an event or a training session, you can easily carry them in a waterproof hydration pack or zip-lock bag. How do the RRUNN™ Caffeinated Electrolyte Salt Caps prevent hyponatremia? Simply put, hyponatremia is a serious depletion in the necessary concentration of sodium, which can seriously hamper your performance with symptoms such as headaches, nausea, muscle cramping and fatigue. 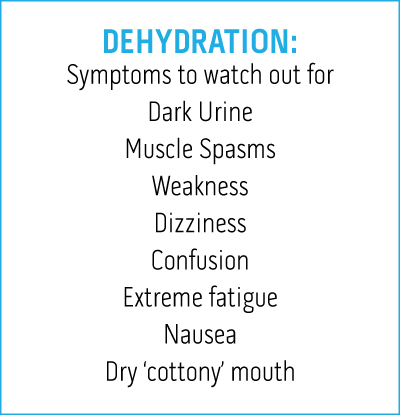 The most common cause of hyponatremia is over-hydration, i.e. drinking excessive fluids, which causes a dip in the sodium concentration. If not treated, hyponatremia can significantly affect your performance. RRUNN™ Caffeinated Electrolyte Salt Capsensures that losses of sodium are instantly countered, and the necessary concentration is maintained for proper hydration and muscle function. The correction of sodium levels in the body helps you retain fluids better, which means you are less likely to consume excessive fluids due to thirsty. RRUNN™ Caffeinated Electrolyte Salt Caps don’t just help prevent hyponatremia – they ensure that your overall system has a positive and synergistic balance of electrolytes and fluids throughout your activity. I am an ultra-athlete. How should I consume RRUNN™ Caffeinated Electrolyte Salt Caps? If you anticipate a heavy sweat rate, you can also take one capsule with at least a cup of water before starting your activity. We recommend that you tailor your strategy according to your individual sweat rate. An effective way to do this is by using RRUNN™ Caffeinated Electrolyte Salt Capsduring your training, to determine what works best for your system. You should take into account the weather conditions anticipated on event day, when planning your electrolyte strategy. You can also consume the RRUNN™ Caffeinated Electrolyte Salt Capsin conjunction with RRUNN™ During, our hydration and endurance sports drink, to supply the necessary fluid intake, carbohydrates, amino acids, and a key osmolyte to boost your performance for the remainder of your activity. Do RRUNN™ Caffeinated Electrolyte Salt Caps sugar? No. The RRUNN™ Caffeinated Electrolyte Salt Capsdo not contain any sugar and have zero calories. Do RRUNN™ Caffeinated Electrolyte Salt Capshave any carbohydrates? No. The RRUNN™ Caffeinated Electrolyte Salt Capshave been formulated exclusively to supply vital electrolytes, vitamin D3 for bone support, and anhydrous caffeine for combating mental fatigue. RRUNN™ Caffeinated Electrolyte Salt Caps are not intended to be used as a source of fuel, or as a source of hydration – they work best as a part of an overall fueling strategy. If you are looking for quality fueling products, you can check out our RRUNN™ system of sports drinks. Why do RRUNN™ Caffeinated Electrolyte Salt Caps contain chloride? The RRUNN™ Caffeinated Electrolyte Salt Caps are unique in this regard, as the only electrolyte capsules in India with chloride in their formulation. Chloride works closely with sodium to regulate the body-water balance, and transmit information to cells – including muscle cells. Complementary chloride and sodium levels are essential to maintaining the right hydration levels necessary to sustain your performance. Merely replenishing sodium levels without the commensurate chloride levels would result in an imbalance of electrolyte concentration, which can impact your overall hydration status. Which is why, along with the appropriate sodium levels, each serving of RRUNN™ Caffeinated Electrolyte Salt Caps also supplies you with 358mg of chloride. Tell me more about the vitamin D3 in the RRUNN™ Caffeinated Electrolyte Salt Caps. Vitamin D3 is found in cells throughout the body for various regulatory processes, but is particularly crucial to bone and immune health. Several studies have linked vitamin D3 deficiency to a higher risk of injury and poor recovery in athletes. RRUNN™ Caffeinated Electrolyte Salt Caps are the only electrolyte capsules to supply vitamin D3 – which supports in healthy bone function, ensures proper recovery, and diminishes the risk of opportunistic illnesses and injuries post-exercise. Conventional vitamin D3 supplements are derived from inorganic sources, which have limited bioavailability. The vitamin D3 in RRUNN™ Caffeinated Electrolyte Salt Caps is derived from lichens, the only organic source of vitamin D3, thereby supplying the body with a highly bioavailable form of this nutrient. How many RRUNN™ Caffeinated Electrolyte Salt Caps can I consume per day? The suggested limit is ten (10) per day. However, the intensity, duration, and/or heat associated with a particular activity may warrant additional intake. Moreover, each athlete possesses unique personal and biological requirements for optimum electrolyte replacement. It is also suggested to consult your doctor before exceeding the recommended dosage. How much water should I consume with the RRUNN™ Caffeinated Electrolyte Salt Caps? You should aim to drink just enough water to swallow the capsules (approximately 50ml). Apart from that, the strategy should be to keep yourself hydrated with a sports drink, as per your fueling plan. I am on a sodium-restricted diet. Can I safely consume RRUNN™ Caffeinated Electrolyte Salt Caps? If you are on a sodium-restricted diet, we recommend that you consult your physician before consuming RRUNN™ Caffeinated Electrolyte Salt Caps. Do the RRUNN™ Caffeinated Electrolyte Salt Caps contain any banned substances? RRUNN™ Caffeinated Electrolyte Salt Caps are formulated in accordance with WADA (World Anti-Doping Agency) guidelines, and do not contain any banned substances. However, please note that WADA does not offer any confirmation, written or otherwise, of the same. 1. 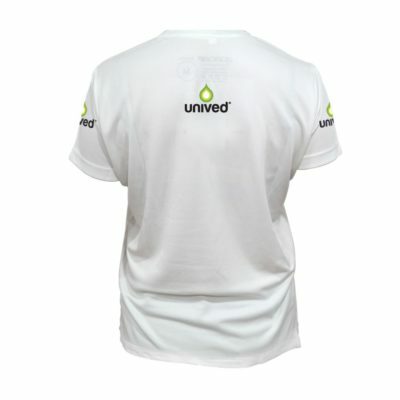 Salt and the ultraendurance athlete, SportsMed Web, http://www.rice.edu/~jenky/sports/salt.html. 2. Dale et al., Oral Salt Supplementation During Ultradistance Exercise, Clinical Journal of Sport Medicine, September 2002 – Volume 12 – Issue 5 – pp 279-284. 3. Noakes et al., Sodium replacement and fluid shifts during prolonged exercise in humans, European Journal of Applied Physiology, May 2001, Volume 84, Issue 5, pp 419-425. 5. Bohla & Volpea , Magnesium and Exercise, Critical Reviews in Food Science and Nutrition, Volume 42, Issue 6, 2002, pages 533-563. 6. Hamilton, Vitamin D and Athletic Performance: The Potential Role of Muscle, Asian J Sports Med. 2011 Dec; 2(4): 211–219. 7. Hyponatremia and Exercise, Part 2 – Mechanisms, http://www.rice.edu/~jenky/sports/hyponatremia.html. 8. Noakes et al., Hyponatremia in ultradistance triathletes, Medicine and Science in Sports and Exercise [1999, 31(6):809-815. 9. Maughan & Shirreffs, Recovery from prolonged exercise: Restoration of water and electrolyte balance, Journal of Sports Sciences, Volume 15, Issue 3, 1997.